I read a book that changed my life. 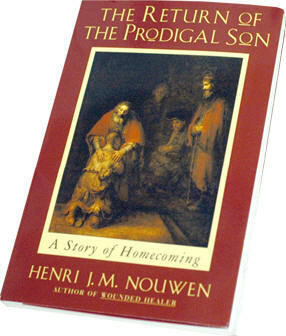 The priest Henri Nouwen spent two years of his life contemplating Rembrandt’s painting called “The Return of the Prodigal Son” and allowing the biblical truths exuding from the story within the art to change his life’s direction. From then on, he lived to aid the disabled. 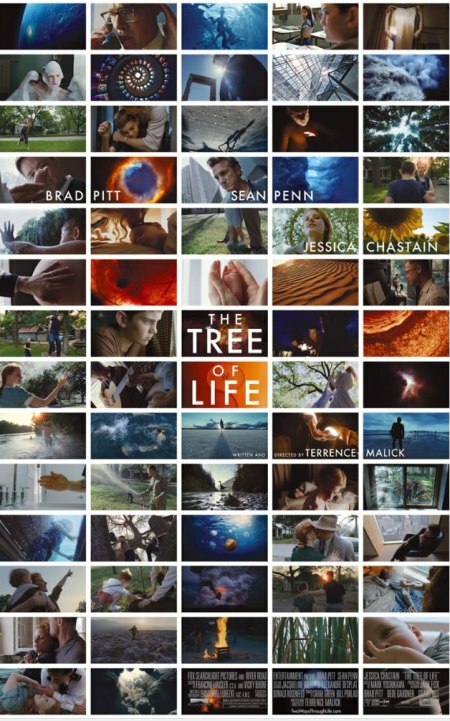 Terrence Malick, writer and director of Tree of Life, is a painter whose medium is film. Each screen shot an ethereal glimpse, otherworldly. I feel that I could sit before his art as Nouwen did Rembrandt’s and gain a sense of place and purpose. 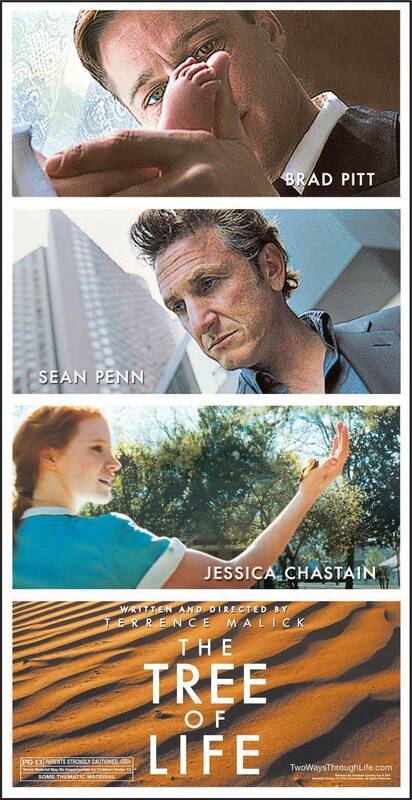 Malick would prefer that his films be experienced. True. They wash over like ever-present repetitive tide. New understanding rolls in with each new wave, christening the viewer. Life at it’s origin streaming on even plain with creation at it’s chaotic, violent genesis. A baby is born, and another. 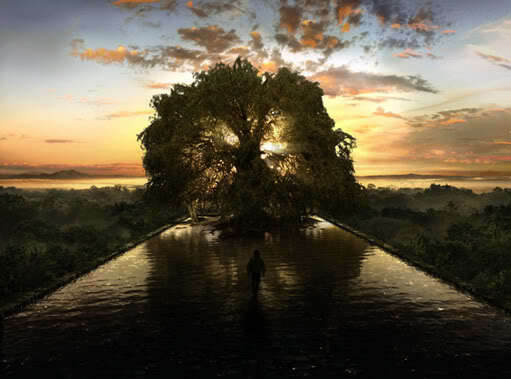 Adam & Eve. Cain & Abel. The Fall – Sin enters the world. “Mother. Father. Always you war inside me.” Grief. Death. Pain. Regret. It’s all there. Whispered in prayers to God creator. New baptized, audiences leave in silence. This water is as chaotic and cataclysmic as the flood, but as filling to the senses as Reepicheep’s beloved sea water in Dawn Treader. Ah, Lewis. 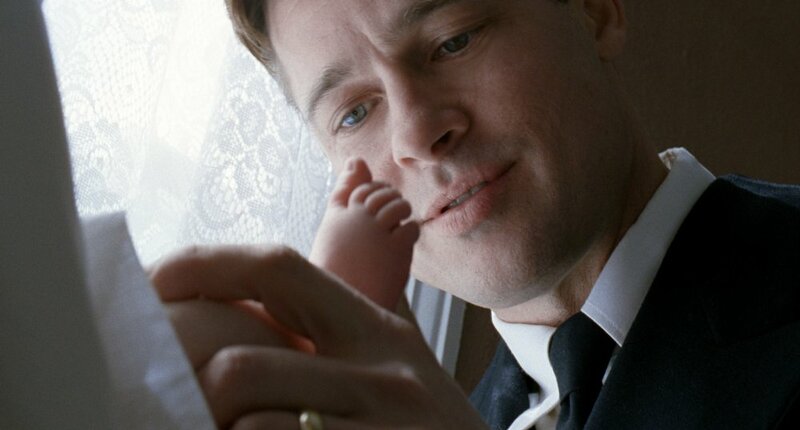 Ah, Malick. Ah, vivid, visceral joy. Watch the art of life as painter makes screen his canvas and film his medium from which to question the very fabric of life, from Dust to Dust. Beautiful! It leaves me with that feeling of wanting more. Thank you! mmmm yes. worth the wait. I admire the beneficial tips you offer in your posts. I will bookmark your site and have my children check up here often. I am quite sure they will learn lots of new stuff here than anybody else!